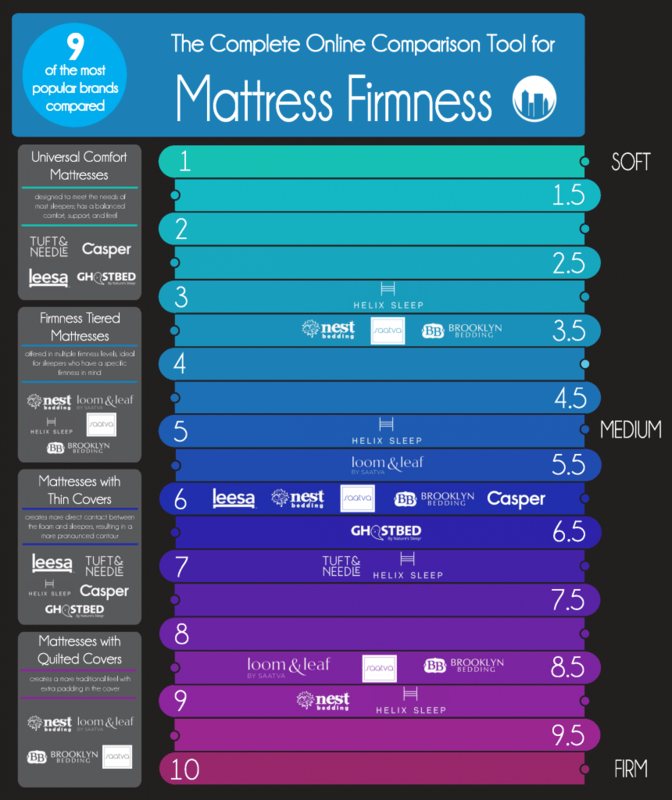 Below is a little more information about each specific mattress covered in the above infographic. If you’d like to see the full analysis and review, check out our complete list of mattress reviews. Brooklyn Bedding – tiered firmness, available in 4 out of 10 (soft), 6 out of 10 (medium), or 8 (firm), quilted cover, built from a latex-like foam, TitanFlex foam. These mattresses are designed to fit the needs of the vast majority of sleepers. They have a balanced comfort, feel, and consistent support for sleepers of varying body types, weights, and sizes. Additionally, in many cases the foam layers within these mattresses are designed to offer adaptive support and comfort. These types of mattresses are generally in the 5-7 out of 10 (where 10 is the most firm) firmness range. These mattresses are offered in multiple firmness levels, usually a soft, medium, and firm. These are great for sleepers who don’t necessarily fall into the medium firmness range or for sleepers who want to get a very specific firmness level. The cover of the mattress can dramatically change how the mattress feels. A mattress with a thin cover allows sleepers to have more direct contact with the layers (usually foam). Having closer contact to the foams creates a more pronounced contour and hug for sleepers. It also means that the softness (or firmness) of the mattress comes directly from the foams layers, and not a cushioned plush cover. Mattresses that have quilted covers offer a more traditional feel. This type of mattress cover is quilted with extra padding in the cover. The padding is usually super soft foam or other soft fill material. This extra cushion creates a more immediate softness that you’ll feel when you first lie down. Most traditional mattresses use quilted padded covers. Still have more questions? Check out the Sleepopolis mattress comparison tool or simply drop me an email via my contact form here. I’d be happy to help! between the Loom & Leaf and Nest firm models, which one is the firmer option? What’s the firmest memory foam mattress you have reviewed of all? Thank you for the best products reviews. Hello – I purchased a Leesa Mattress and I love it. I tend to sleep most on my stomach and side – and am sleeping well on my new Leesa mattress. One disappointment – when it is hot, I like to sleep on my back – but the Leesa is not comfortable when I am on my back. Would you have a recommendation – so I can enjoy sleeping lots on my stomach and side – but would also like to sleep on my back. Sincere thanks! There’s a few options we can consider. 2) Find a mattress that’s slightly softer or slightly firmer, depending on what your needs. The risk of this option is by going slightly softer or firmer you may find that you sleep worse on your stomach or side. So it really depends on how much you plan on sleeping on your back. Have enjoyed watching the many reviews. My wife and I are looking for a new mattress and are quickly getting overwhelmed with choices. We were strongly considering Helix due to the customization, but are hearing lots of reviews saying it was much firmer than expected. I’m 6’2, 280 lbs, wide shoulders, a bit of weight at the waist, my wife is about 5’7 160 lbs, wider hips. She is a side sleeper but definitely prefers a firmer mattress. I sleep on my stomach and prefer something on the firmer side as well as far as support goes, but like a soft feel if that makes sense. The only in store mattress we have tried and liked was a Bob’s Vibrance Pillowtop. Cooling would be a really nice feature and the Vibrance used a gel infused foam, which felt very cool. What are your thoughts? Certainly appreciate any suggestions you might have. Thanks for your comment and my apologies for the slow reply. The wife and I were out of town over the weekend for a little R&R and my emails / comments got backed up. Sorry! Thanks for all of the background information. This is helpful, I just need one more piece of information to provide a recommendation. What is your ideal firmness on a 1-10 scale, where 10 is the most firm and would be as firm as a carpeted floor? I wonder if you have any recommendations for children’s mattresses. I need a twin and full size mattress for a 7 and 4 year old respectively. Did not see any specific reviews regarding kids matresses. Do you have input or know of another site that specialises in that? Also, beginning of the year I had a loom and leaf relaxed firm. Wanted to like it but at end of trial period I could just not get comfy on it. Was too firm for me. Terrible lower back back, shoulder pain and arms falling asleep and constantly waking up. I tried the Helix which is a little better but I still struggle a lot with next and shoulder pain. I had it over 3 months so trial period is done:-( Its a soft version. Any other recommendations for that? For starters, I would recommend taking a look at the Brooklyn Bedding, Leesa, and GhostBed for your kids. These are all great choices for children that are growing. 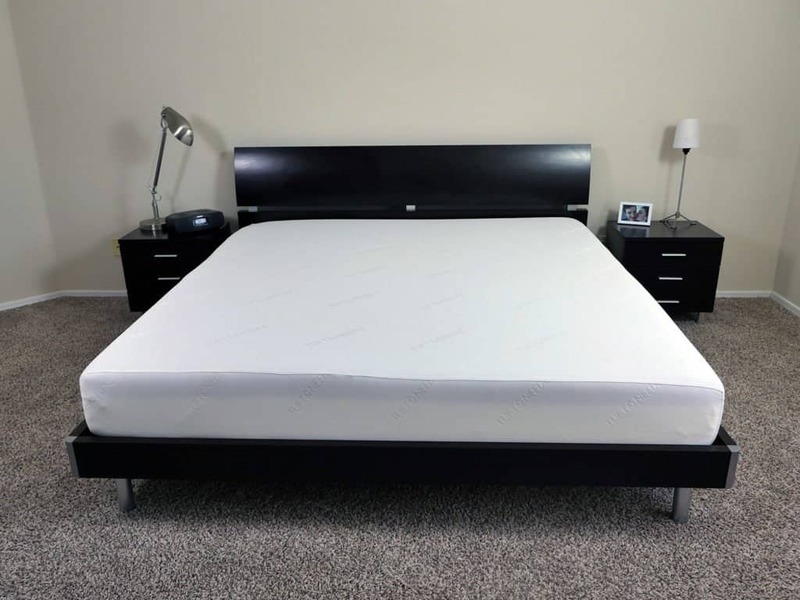 With regards to your issue on the Helix, your best bet may be to add a mattress topper or pad. This could add some pressure relief and help reduce pain in your shoulder and neck area. Thanks for your reply. As to the clarification, we ordered the custom firm version of the Winkbed. There isn’t a range, just an option for regular or firm and we got firm. Got it. Thank you for clearing that up. If this mattress was too firm, I would recommend moving towards the original WinkBed or the Nest Bedding Alexander hybrid mattress. Both of these will be softer than the firm custom version of the WinkBed you recently tested out. Unfortunately, I have not tested the Otter Trail mattress. That said, both the Alexander hybrid and original WinkBed are solid choices and I truly believe they could serve as appropriate options based off of your previous experience. By the way, your site is awesome! I started out not knowing much of anything about mattresses but I’ve learned a lot here. Thanks for compiling such a get amount of info. In regard to my previous post, we are stomach and back sleepers. As a front sleeper, if I sink in much my back is too bent back once I put my head on my pillow. The “Otter Trail” mattress has a thin memory foam top so it’s soft on the joints but firm enough to keep ones back straight. Do you have any suggestions for which online bed might be the most like the “Otter Creek” mattress? P.S. We have been trying the Winkbed with the “firm” option. Its actually too hard. We called them and they happily sent us a 2″ free memory foam topper (at no charge), but it made it too soft. We really don’t like the feeling of sinking into a cushion. So, we ended up putting on a traditional ‘egg crate’ style foam topper. Honestly, it helped but really its still not comfortable. My apologies for the slow reply! I’ve been away from my office for a few days. Finally back though! So before we dive into a recommendation I want to make sure I understand what mattress you slept on. Winkbed only makes one firmness level, and it’s about a medium 6 out of 10 firmness. Did you get a custom Winkbed made or is it the regular firmness level? Or is it a different mattress entirely? We love your site. Thanks for all the helpful info! I’ve had some neck, shoulder, and upper thoracic back pain for about 8 years, but recently it’s been pretty bad. I’m 30, 6’2″, about 175, and sleep only on my back now, so pretty average. My wife can sleep on anything. We had a generic memory foam mattress given to us that didn’t work too well, so we thought we would try out a new, better mattress. We initially tried Tuft and Needle, but it did not help (I would say maybe too soft). We then tried a Serta Oakridge which is a very firm mattress, far too firm. Next we tried Leesa, which out of all that we have tried, is the best so far, but I still can’t sleep on it because my of the previously mentioned pains. I don’t know if it’s too soft or if it just puts my spine in a bad position. Then we bought a Purple, which wasn’t as good as the Leesa, though I can’t put my finger on why. The only mattress, surprisingly, that I’ve slept well on in the past 8 years, was in a hotel I stayed at for a month. It was a Serta Perfect Sleeper Emerald Suite Elite 1. We are thinking of trying out the Helix, since it’s customizable. First, I was wondering if you had a better option/recommendation. Second, when deciding on firmness, they do a scale of 7, basically (very soft to very firm). I am trying to decide if I should do a medium firm or firm. What would you say? Thanks! Thanks for your kind words! I’d be happy to help you find a great mattress. Thanks for the background information. This is very helpful. So, Helix is definitely an option. Being customiizable will at least help get the firmness right, and hopefully the feel. I’m having a hard time finding this exact Serta Perfect Sleeper model, but just about all Serta hotel beds are hybrids or coil-on-coil pillow tops. Since you already know you like that it might make the most sense to go that route. The best coil-on-coil / hybrid options are: Saatva, Winkbed, Nest Bedding Alexander Hybrid, and the Voila. 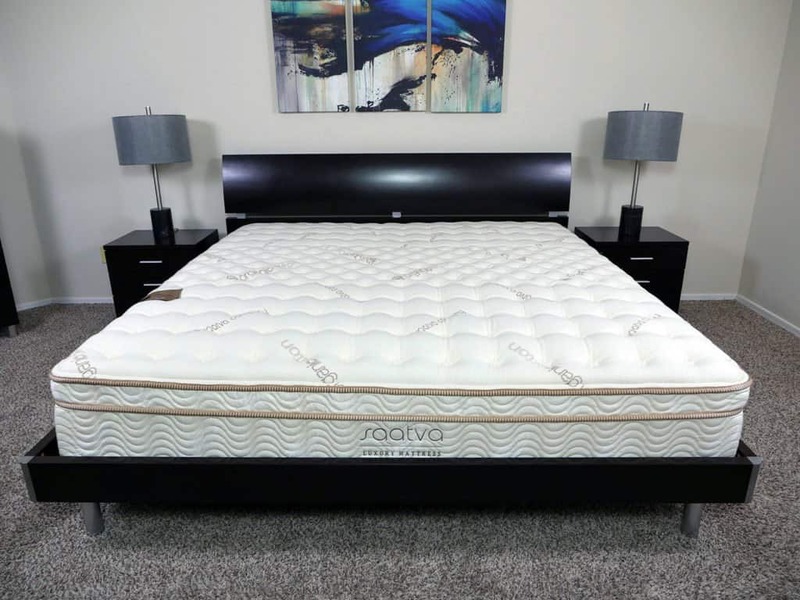 Voila is very similar to the Tempur-pedic Flex Supreme, so that’s an easy one to go try in-store to see if you like that feel. Saatva / Winkbed are similar to Beautyrest’s Hybrid line, also readily available in-stores to try. The Alexander is perhaps the most unique. 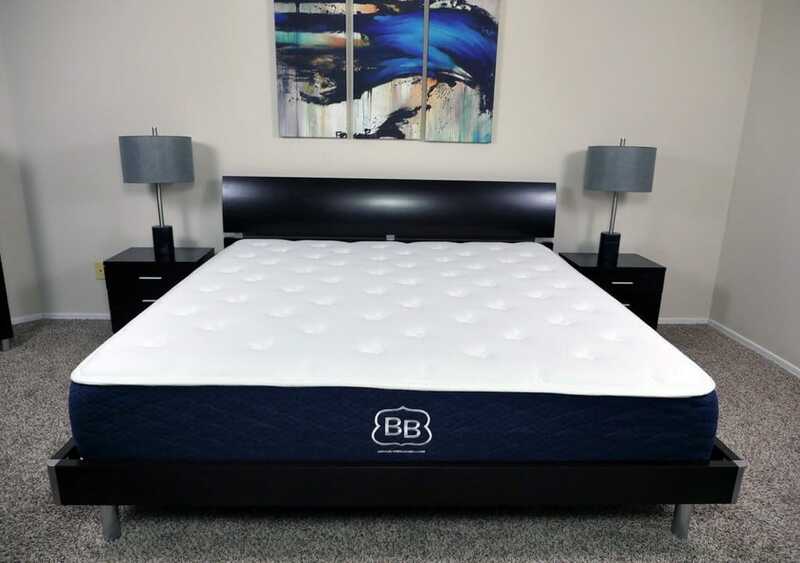 It’s similar in some respects to the Beautrest Hybrid line, but a bit softer and with more of a memory foam feel on top. Please let me know if there are any other questions I can help with. Thanks! Have you tested the Zinus Memory Foam 12 Inch Green Tea Mattress, King from Amazon yet? Casper is disappointing and I had a rare encounter with a tick on site, talk about sleeping in a stranger’s bed! Unfortunately I have not had the opportunity to test the Zinus memory foam 12 inch Green Tea mattress yet. I do plan on doing so in the very near future. With that said, I have done some research on this mattress and if budget is a concern, I believe it can be a good option. If you have a little more wiggle room in your budget, there are a few other mattresses I would recommend, such as the eLuxurySupply mattress and Brentwood Home Sierra mattress. Hi Sleepopolis, neat site. Have you tried the ikea Myrbecka memory foam mattress? How does it compare with the 9 online mattresses in firmness and comfort? Thanks, Jeffrey! Glad you like it. Unfortunately, I’m unfamiliar with the Myrbecka memory foam mattress. Based on the online description it’s probably somewhere between the 6-7. I really want the Tempurpedic Cloud Lux. The price is crazy high. Can you suggest a cheaper alternative? Thank you so much for all you do. Can you update this chart to include the Novosbed? Of my three top contenders of mattress to buy Novosbed is my top choice for now but I want to be sure I make a good decision. The next choice is Alexander Hybrid. Also on your best mattress section for side sleepers you have the Leesa included but not the Novosbed which in your review you said the Novosbed is a little softer than Leesa. Both my wife and I are side sleepers mainly and this will be a big factor for us. The complicated thing about is that our alternate ways of sleeping is me sometimes on my back and she sometimes in her stomach. Thanks in advance for your response. I will work on getting a few more mattresses added to this infographic. In the meantime, the Novosbed is a very good option for side sleepers. The sinkage and hug of this mattress makes for very good pressure relief and great support. Therefore, the Novosbed could very well be the most appropriate option for you to consider. Now, if you’re a fan of a little less sinkage and contour, the Alexander hybrid may be the better option. This is still a very good mattress, but the memory foam feel from the Novosbed is much different than the quilted top layer and pocketed coil base of the Alexander hybrid. Hi Sleepopolis, Looked at Tempur mattresses over the weekend, and will email you tomorrow which ones we liked. also wanted to ask you about the Reverie adjustable bases. Are they worth the price, and do you do reviews on them? Unfortunately I have not completed any adjustable base reviews yet. With that said, I have plans to do so in the very near future. With regards to the Reverie series, I have researched their company on several occasions and their products seem to be very well made and reviewed. 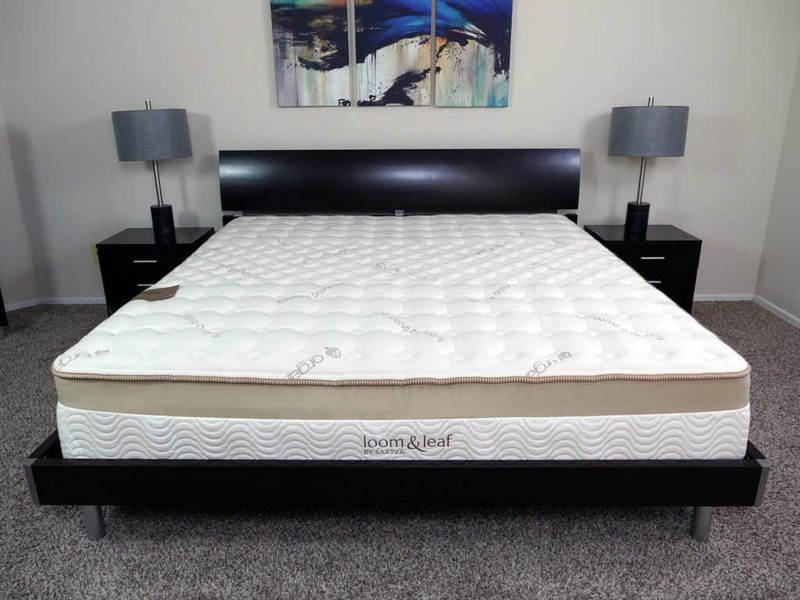 Loom & Leaf Firm or the Novosbed Firm are going to be the two closest options to the Tempur-pedic Contour Supreme. my wife and i are looking for a new mattress. i read through a bunch of the information and reviews on your website and am having a hard time deciding which would be best for us. we tried a few tempurapedic and generic foam mattresses at the mattress store the other day. it seems like we prefer firm (wife) to medium firm (myself) of the ones we tried. I tend to sleep on my back, sometimes my side. initially i was thinking the Leesa as it seems highly reviewed but i’m not sure if it will be to soft based on what we tried at the store. i don’t mind some hug and contour as long as there’s enough spine support. my wife seems to like more firm but she is also light so may float more anyways. do you have any recommendations based on this info? price is not a huge issue if the extra cost is worth it. Can you please tell me the specific Tempur-pedic models that you and your wife tried and liked? I can then match those to a cheaper alternative online that matches your preferences. 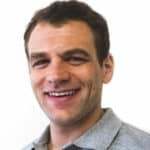 I’ve really enjoyed your informative videos and standardized testing approach to provide us good comparative view of each model. I will be getting the eLuxury mattress for my daughter based on your reviews (and will be using your coupon!). I was curious though about the gel foam layer in comparison to memory foam from say 5 years ago when I bought a 3″ mattress topper for my bed(My wife says she sinks in too much and can’t roll easily from side to side). I understand the whole coolness advantage but isn’t the gel foam basically the same as my mattress topper? Or have their been some improvements on firmness and response? It seems like the eluxury you are basically floating vs sinking so I’m wondering what is the difference. Secondly, I hear that foam mattresses have a tendency to “spread” and/or leave indentations (soften) over time. Are you seeing this is not the case with these newer beds? Do they have better longevity? I think this is one area not being explored enough. Thanks for your thoughts and this excellent site! It’s going to be tough to compare the topper you bought 5 years ago to what’s on the market now. The term “memory foam” is extremely broad and includes foam across a massive spectrum of quality. The same was true 5 years ago. If I had to guess, I would say the eLuxury’s foam is probably a notable step up in terms of quality. eLuxury’s foam is good stuff, but not the absolute best available. This is why they are able to keep the price point low. It’s a no bells and whistles type of a mattress. So to answer your question, yes, there have been improvements in terms of the durability, cooling, and response, but it’s not going to be an instant response like a latex and won’t be as cool as a latex / polymer / hybrid. All foam mattresses are going to indent to a certain degree, some more than others. With the eLuxury you’ll usually see anywhere from 0.25″-0.5″ indentation within the first 6 months. It will then very gradually indent over a period of years to the point that it’s probably time to get a new mattress. But by that point you’re looking somewhere in the 7-10 year range. Every mattress life cycle is different based on the materials and design, but also based on how you use the mattress, weights, body type, local climate, etc. I am looking at a new mattresses because I haven’t been sleeping great and wake up with minor back pain sometimes. I also seem to move a lot. I am 6’4″ 260lbs. My current mattress is a little too soft and I would guess very little support. The main one I have been looking at is Helix for the customization. I am mainly a side/stomach sleeper. Shoulders and hips are about the same and waist is a little thinner. Any recommendations would be appreciated. I know most of these have free returns, but I would rather get it right the first time. Thank you very much for this very helpful site. Could manufacturers be rated in terms of how “green” they are, environmentally etc? What mattresses are best as far as no chemical emissions / harmful agents? Coolness/breathing is a big factor. We are leaning towards Ghostbed or Lull, remotely Yogabed. Do you know if one can get a deal if buying more than 1 mattress? I’ll see if I can do a “green” rating. I’ll need to do more research to really pull that piece together, however, I can tell you that I’m almost 100% sure Leesa is #1 in that area. They plant 1 tree for every 1 mattress they sell. They’ve already planted something like 40,000 trees, mostly in Colorado and elsewhere in the US. In terms of off-gassing and smell, they differ a little bit though. Here are the ones with the least smell https://sleepopolis.com/mattress-comparisons/?fwp_smell=minor You can also use the filters on the left (or top if you’re on mobile / tablet) to sort and see the off-gassing differences between the most popular mattress. The big thing to watch out for is if you’re very heavy…stay away from foam and stay away from lots of sinkage. Beyond that, just stay away from older and more traditional memory foams. These are the ones that retain a lot of heat. These companies will do bulk sales, but you don’t really start to get savings until you’re buying 20+. Hi – I could really use some help. I’m so glad I discovered this world of direct-ship mattresses, but it seems like the more reviews I read, the longer my list of potentials gets….. and it’s preventing me from making a final decision. Every weekend I say I’m going to buy one, and then I spend the whole weekend reading/watching reviews yet buying nothing. I was initially going to buy either Tuft & Needle or – based on your review – the eLuxury…. hoping to stay in about a 500/600 budget. The mattresses I physically liked in the stores were two and three times that, so I was thrilled to see such overall positive reviews of those two mattresses. However, the more research I do, the more I realize that jumping up to the 700-850 range is probably worth it for additional comfort and better support. I secured a new credit card with 0% interest for a year so that I could jump up to the next tier. Additionally, eLuxury raised their pricing to over 600 just this week so I’m no longer viewing it as you stated: “the really great bargain for only $463”. Purple looks interesting; but is it really worth a grand? How does one choose? I wish there was a brief poll on which mattresses users tried and RETURNED and then which they tried and kept. I can see that there are users for whom the Leesa did not work…. but I have no idea which mattress they ultimately ended up with. I thank you any advice!! Once I have this information I can make sure I get you the best recommendation. Hi Sleepopolis – Really impressive site here. I bought a Leesa about a month ago after reading your great reviews. It is comfortable, but as a side sleeper, 5′ 7″, 160 lb, it still feels too firm and not enough hug. I’m considering swapping it out for the Alexander Hybrid vs. the Alexander Signature (would need to decide about soft vs. medium). My partner is 5′ 8 and 200 lbs, mostly a back sleeper, but I’d like the mattress to be soft enough that he can comfortably spoon with me. Thanks for any recommendation, especially among the Alexander models. Sorry to hear that the Leesa isn’t working out for you. Based on your feedback and size I think the Alexander Hybrid is going to be your best choice. The medium has a little more pressure relief than the Leesa, but it’s firmness level is still very near that of the Leesa at a 6 out of 10. 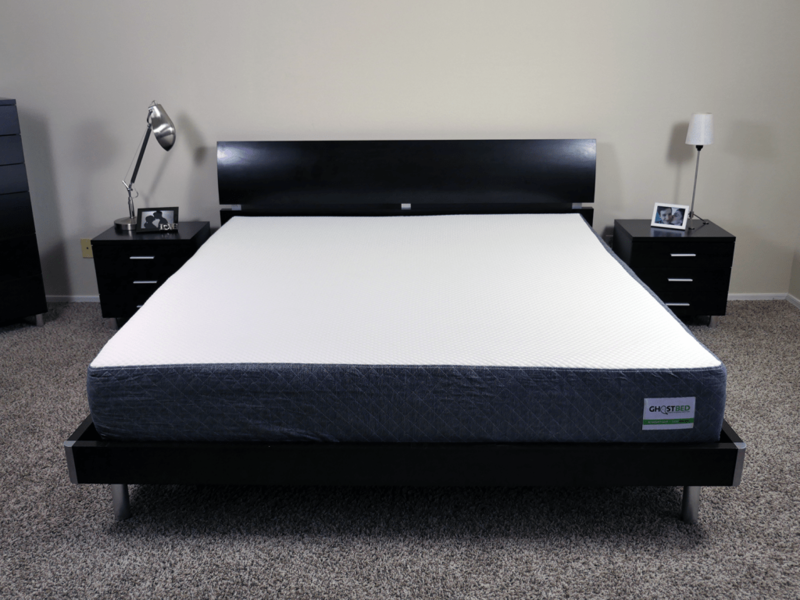 The Alexander Hybrid is a noted amount softer at a 5-5.5 out of 10 on the firmness scale and has more pressure relief. I think it’s what you need. Hello, Sleepopolis! Great job on the reviews and many thanks for the helpful info, hope you continue to enjoy all the mattress testing! A couple of questions, please. Have you had any hands-on time with the Luxi mattress? It can be adjusted 3 ways for different firmness, but I’m not sure if that’s much of an advantage as you’re not likely to go through the hassle of switching foams frequently, and they are a newer company. I am around 6’4, 180lb (similar buile to yours), my wife is around 5’4, 125. We currently have a pillow top that needs replacement due to sagging. I prefer a softer mattress but generally sleep on my stomach or side (which my back knows is not ideal :( My wife prefers a firmer mattress and is mostly a side, sometimes back sleeper. Looking at a cal-king, my current top choices are: Alexander Hybrid (a bit pricey, going to check out a friend’s this weekend), eluxury (most economical), Leesa (based on your review), Helix (based on flexibility, not sure if the extra $100 for separate sides is necessary? ), Luxi, and maybe Novosbed because of their adjustable kit. Sorry, I know that’s way too much information and way too many options, but may I ask your thoughts if you have a moment? Thanks again, I appreciate it! I have tried the Luxi. While the concept of being able to switch out the firmness is a novel one, I just wasn’t a huge fan of the feel on any of the configurations. The foam in the mushroom-like design was just odd and I could never find a comfortable sleeping position. I’d say your assessments on those 4 mattresses are right on. Here’s how I would break them down a bit further. Let me know if there’s any other questions I can help with. any plans to do a comparison between Leesa and Purple? It’s on my to do list, but probably a few weeks out. I can tell you now though, it’s going to be a bit of a toss up. Leesa is going to be best for those who want more of a true foam feel, balanced contour / hug, and a better value. Purple is going to be better for sleepers who want more bounce, more response, and a cooler feel. My husband and I are just starting to look for a new mattress. Our current mattress is a sealy pillow top that is just to soft for us. I get hip/ back pains and he has back pains. We are looking for a firmer mattress, probably an 8 on your scale. I am 24, 5’5′ at 160 lbs wide hips and shoulders, narrow waist. I sleep on my back, sometimes side. He is 25, 6′ 0′ at 220 lbs uniform shoulders, hips and waist. he sleeps on his back, sometimes side. We are having trouble agreeing with the right bed as he is inclined to shop in a store where he can try the bed before he buys, where I think you get more for your money by shopping online. Please help. What is the best route to take and the right bed for us? So since you’re having a tough time agreeing I think a good first step would simply be to go try a few mattresses in store. There is a comparable online mattress to virtually every Tempur-pedic mattress, most of them at about 1/3rd of the cost. Go try the various Tempur-pedic line and see which ones you like the best. Once we have that information we can make sure I recommend the best mattress for you and your husband. Great website you have here. I am interested in buying a memory foam mattress, and I was originally looking to get an Amerisleep mattress. I noticed that your reviews on Amerisleep are currently gone from your mattress reviews. Is there any particular reason? What is your opinion on Amerisleep? Would you recommend? If not what are your reasons? Thanks a lot. I still think Amerisleep makes pretty mattresses, however, I just haven’t has as much interest for them from my readers lately. So I’ve been focusing on other stuff. The downside to Amerisleep is they are a good bit more expensive than many of their competitors. Your reviews are awesome! I have done a lot of research and found your reviews to be incredibly informational and helpful. I ordered the Leesa 3 days ago and it appeared on my doorstep today. We just set it up and I can’t wait to try it out tonight. Do you recommend a mattress protector? I am undecided about whether or not it’s necessary. If you have children, pets, or frequently eat / drink in bed, I would say it’s better to be safe than sorry, get the protector. You’ll be happy you did when an accident happens. If not, it’s not a critical requirement. We currently have an spring mattress with a large pillow top. We like the softness of the pillow top and like a medium-soft firmness (maybe a 5 on your scale). We don’t like the sinking/trapped feeling that some foam beds give. A reasonable amount of sinking/hugging is fine. I am considering a queen from Leesa, Brooklin Bedding, Alexander Hybrid or Loom & Leaf. Cost is not a factor (within reason). Which would you recommend out of these or should we be considering something else? Thanks for your kind words! I’m glad Sleepopolis has been helpful. Based on your needs and desires I would say you are on the right track. I would probably say Leesa and Brooklyn Bedding are going to be a little too firm for your needs though. They are a 6 out of 10 on the firmness scale. The Alexander Hybrid or Loom & Leaf is probably going to be much closer to your ideal firmness. They are both a 5.5 out of 10 and have a little more softness, especially in the top layers, than the Leesa or Brooklyn Bedding. 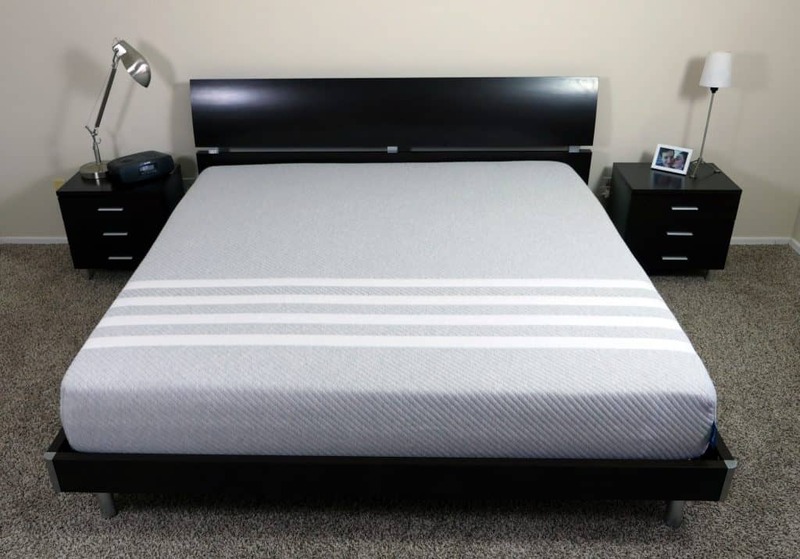 One other that you might consider would be the Novosbed https://sleepopolis.com/novosbed It has a little more of a classic memory foam hug, but it sits at a true 5 out of 10 on the firmness scale. The response isn’t instant, but it’s not slow either. Between Novosbed, Alexander Hybrid, or Loom & Leaf it’s really hard to go wrong. These are among the very best mattresses available online and all are within my top tier list. Sleepopolis please help! Both my boyfriend and I have bad backs and necks. We currently sleep on a traditional coil spring mattress. Because of an injury I often sleep in a reclining position. At the moment, I can feel the coils in my mattress. We are looking at the Casper, L&L (relaxed) and Leesa. Which of the three which would you say would provide enough support and durability for me to sleep in a reclining position without feeling the base layer? If money is no object, go with the Loom & Leaf. Having a thicker profile makes it better for adjustable bases and it will create excellent deep compression support. If money is a little tighter go with Leesa. In terms of overall performance and quality it’s right up there with L&L, but at 10″ some of my readers don’t like it as much for adjustable base use. Don’t buy Casper. It’s probably better than what you’re sleeping on, but Leesa beats it in every functional category. Awesome blog! Thank you for helping us demystify online mattress buying. 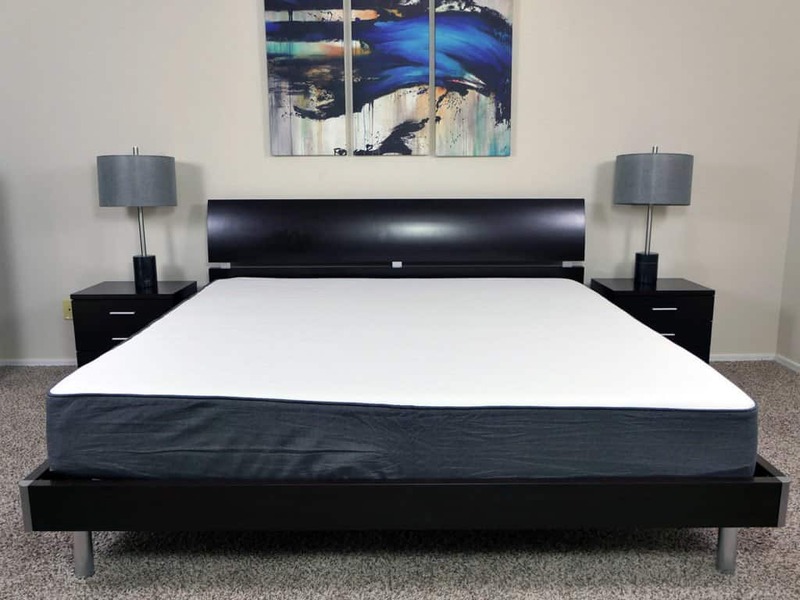 So I am torn between the ghostbed (11″ height and gel memory foam which sounds heavenly) vs. the Helix. The custom design helix is recommending is medium/firm feel, ultra cooling (I run hot sleeping), high point elasticity and moderate support. Husband is 5’7″ slender, side/back sleeper and a snorer. I’m 5’3″, avg weight, side/black sleeper who has been experiencing horrible back pain sleeping on our outdated 15 yr old mattress. Would appreciate your opinion on the two mattresses as to which one you’d choose if you were me. Also, we will be replacing our box springs. Any recommendations for those (king size)? Saw ghostbed has their own, but I have been reading they are not the easiest to put together. I’ve been cautioned to make sure we buy a box spring that is good for foam mattresses, and there was an it a ton of info out there. Thanks very much for your kind words! Choosing between the GhostBed and Helix really comes down to one factor, customization. If you’re in love with the idea of customizing your own mattress, Helix is the way to go. Otherwise, GhostBed is a great option. Both have very good support, cooling, and comfort. With regards to a boxspring, the GhostBed boxspring is very nice. Not to mention, it matches their mattress perfectly. To comment on the assembly process, it was not very difficult. It took my cousin and I just under 30 minutes and only required a screwdriver. All in all, I believe the GhostBed mattress and boxspring is a great combination if you’re looking to kill two birds with one stone. Thanks, Sleepopolis…we just ordered the ghostbed and matching foundation with your affiliate code, as well as the Nest pillows you also reviewed. Fingers crossed this will lead to a much more comfortable night’s sleep! Which pillow is good for neck pain? I am planning to go for Saatva firm mattress hoping it to be good for my back which pains when mattress sinks. Can you please suggest a pillow which is compatible with Saatva firm mattress so that my spine and neck align straight while sleeping? I have seen many pillows which shrink and get squeezed at neck region thereby making neck hang there without any support. And memory foam pillows are too hand and press the neck . What would the Essentia Tatami rate on this scale? We purchased one and found it to be too firm. We’re considering a Loom & Leaf Relaxed Firm. Thank you. Hi Mark. While I have never tested the Essentia Tatami personally, I have researched the mattress and believe it to be an 8 out of 10 on the firmness scale (10 being the most firm). The L&L relaxed firm sits at a 5.5 out of 10 and will be notably softer than the Essentia Tatami. Thanks for the great info on your website! We used to have a waterbed for many years and loved it but after 10 plus years it broke and I want try a traditional mattress to avoid the hassles etc. 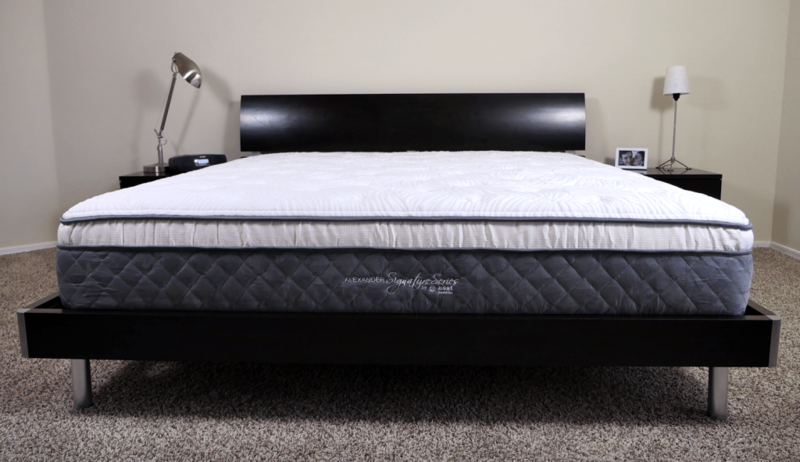 I like a soft and contoured feel that comes close to the waterbed but provides sufficient support for lower back pain. I am back/side sleeper and easily get neck and should stiffness on side. After reading lists of stuff online and trying to a few mattresses at sleepys I ended up buying a Loom and Leaf relaxed firm. It sounded like a great choice and I did want to avoid the 4-5K price tag for a Tempurpedic could breeze in kind size. I have slept on the L&L for 5 days and have terrible lower back pain which I never really had on my waterbed only in some hotel beds….maybe I need to give it a few more days adjustment time but don’t think this is working out for us. Any alternative recommendations? I would advise a much longer adjustment period at this point. It can realistically take your body up to 4 weeks to adjust to a new mattress. Since you’re switching from a water bed to a memory foam the transition period could take even a little bit longer. Your body is in a panic mode right now trying to adjust and change to the new feel. Before you make any decision I would advise sleeping at least 3-4 weeks on the L&L. See if / how your body adjusts. 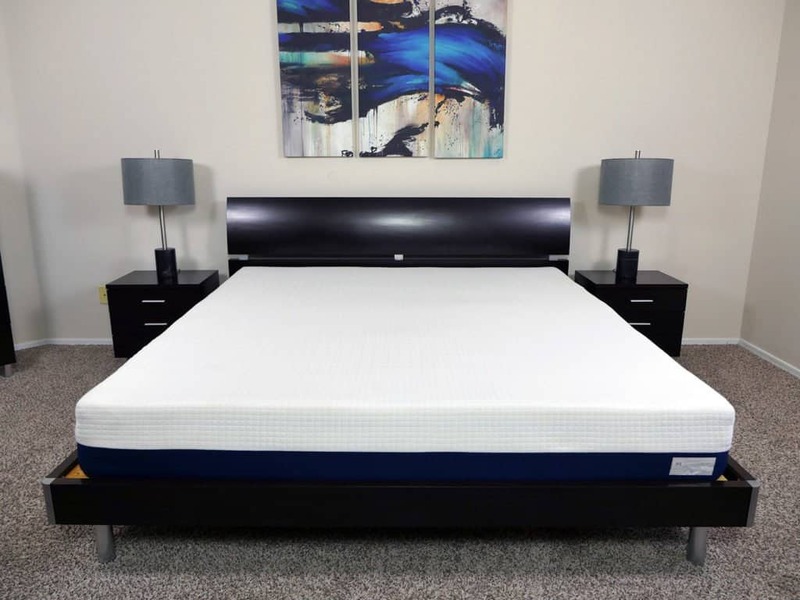 If you make the switch to something else now before allowing your body to complete the adjustment period you’ll likely find yourself with another new mattress that you’re having a hard time adjusting to. If after 3-4 weeks your body still isn’t adapting the Loom and Leaf then you can more forward with much more information about what you like / don’t like and I can help provide a much better personalized recommendation based on your experiences. Thanks Sleepopolis. I figured I probably need to give it some more time, but not easy today when you constantly wake up from pain. Also curious to hear what you think about Sleep Number beds. Some people seem to love them. Tried a bunch out and they feel great in the store, but wonder if they are really any good. thanks a ton! I definitely feel for you. I wish I had a better answer. Unfortunately, it just takes time to make the adjustment. I’m not a big fan of Sleep Number. They are vastly over priced for what I think is a fair price for a mattress. I think there are much better and much cheaper options available. I’m still amazed at the quality of sleep I’m getting from my Loom & Leaf mattress. I left a review on their site and mentioned you and your site. I owe it all to you and your review. Thanks again! Thanks so much for your feedback, Peter. That’s great to hear! L&L really is an excellent mattress. I hope it continues to do well for you! I have a question, if you’re able to help. We’re looking at getting a new king-sized mattress. We’ve been sleeping on a 10-year-old Sam’s Club Serta, and we need something bigger because we have toddlers who invade our bed occasionally. Generally, there are just the two of us–we’re about 250 lbs each, and my husband strongly prefers a firm mattress (probably 9/10; he used to sleep on the most god-awful rock-hard futon). I’m good with relatively firm, but I prefer something a little softer than he does. He sleeps on his back or side, and I sleep on my side. I’d like something that doesn’t get too hot. I’m thinking Brooklyn Bedding might be right for us. (In a perfect world, we’d go with Loom & Leaf, but I can’t justify the additional $500.) I’m not sure about the firmness, though–you recommend something softer for side sleepers, but the combination of heavy person and thick latex layers might make the firmer option better. I’m inclined to try the 8.5/10 firmness–what would you say? Thanks for your comment and this background information. This is helpful. In an ideal world I would try to recommend a thicker profile mattress (something 12″ or thicker). Thicker mattresses usually do a better job for heavier sleepers as they are able to provide better deep compression support. However, since you are looking along the firm lines the increased density of the foams should naturally help to create more support for you and your husband. Let me know if there are any other questions I can help with. Thanks!